READY TO TRY SOMETHING NEW? Cause Inspired works exclusively with nonprofits. We have a track record of successfully turning good into great using every component of digital marketing. We have several non-profits receiving the full benefits of the Ad Grant, $10,000 each month. We have been able to increase the average targeted traffic to non-profits’ websites by double and for many we provide the vast majority of their traffic. We increase the physical traffic to their fundraisers as well. We have an understanding that goals for non-profits can differ greatly than those of a traditional ‘for profit company.’ We focus on several main directions to help your organization grow in event marketing, corporate sponsorship, volunteerism, donation development, and cause awareness. 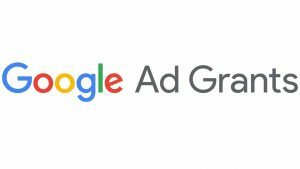 Cause Inspired has partnered with Google to help with their Non-Profit Advertising Grant. This Grant for $10,000 per month in advertising is often daunting to Non-Profits, this is where Cause Inspired has a chance to come in and make this a success for your Non-Profit. Cause Inspired is here to help you reach your Donors, Volunteers, and Sponsors through a new and improved web site experience. Coupled with our creative marketing and relationship management tools, your new site will be the hub of your digital marketing efforts. Your logo, website, events and more all combine to create your brand. Don’t leave it to chance. Our nonprofit branding experts know what’s important to you and your constituents. Deliverables include brand messaging and visual guidelines to keep every one on the same page. Posting, event management and building your social media audience are an important part of your digital marketing. We offer the expertise, the content and the marketing plan you’ll need to attract donors, attendees and volunteers. PLEASE REACH OUT TO US TODAY AND WE CAN SHOW YOU HOW WE CAN HELP YOUR ORGANIZATION!